“Approach the Bench” started as a gift idea for my father. While I was growing up, we used to play chess together and as an attorney, he was inundated with “World’s Greatest Lawyer” coffee mugs, ties and the like for his birthday, father’s day, etc. A few years ago, I was walking down Thompson Street in Greenwich Village, and noticed themed chess sets (Crusaders vs. Moors, Yankees vs. Red Sox, The Simpsons, etc.) in some shop windows. 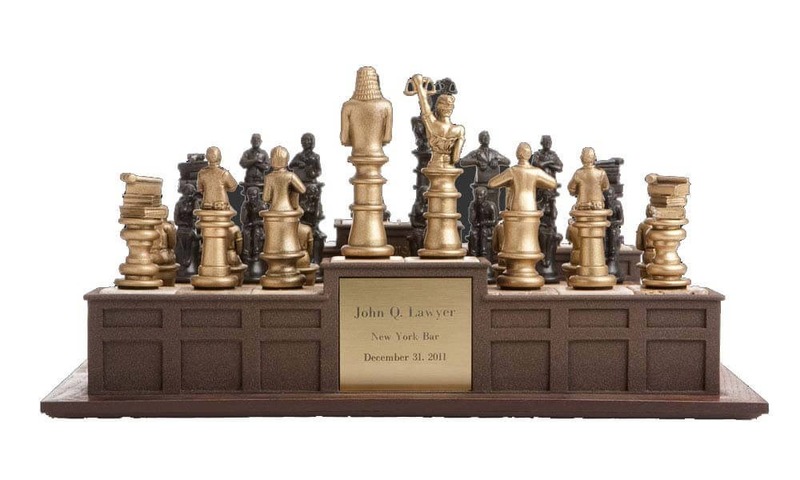 I started to wonder if there were any legal themed chess sets I could get my father for his office. An internet search yielded no legal themed chess sets, and the idea for ‘Approach the Bench” was born. A year later we are featured in the ABA Holiday Gift Guide, the Rundown online Magazine, the Legal Intelligencer and more! 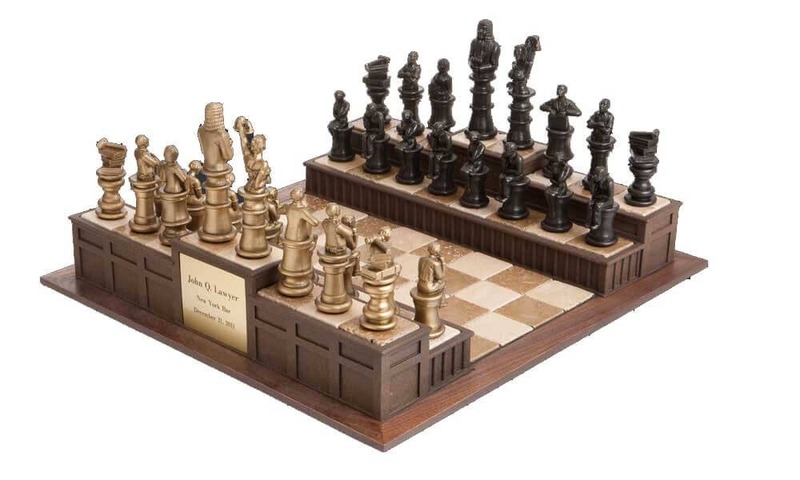 Elegant and austere, Approach the Bench: The Chess Set for Legal Professionals is the perfect gift for an attorney, law school graduate, judge, or anyone associated with the law. “Approach the Bench” combines the strategy and intellectual prowess of chess, with figures and images one would find in the courtroom.